Conservation Officer Rob McNabb and government pilot Samantha Williams team up to attempt to bring a murderous polar bear poacher to justice. 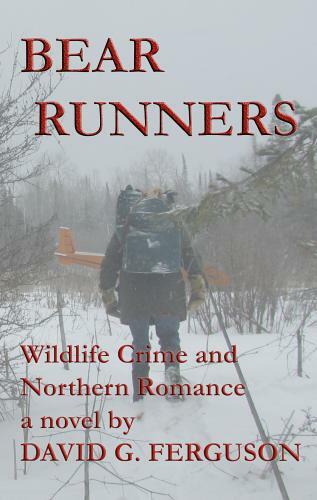 BEAR RUNNERS is a suspense filled wildlife crime novel with a love story woven into the tale. Another bear brought down with just one shot. Pleased with his latest kill, the man who calls himself Eagle Feather is carving out a new career in the northern wilderness while hiding from the law, and a past cloaked in dark secrets. Conservation Officer Robert McNabb and government pilot Sam Williams team up in an attempt to bring the murderous polar bear poacher to justice in the depths of a particularly harsh James Bay winter. In a vast land of bush planes, blizzards, remote communities and lonely winter roads, McNabb and Williams face a string of extreme challenges which make for slim odds of their success, let alone their own chances of survival. And a budding romance hangs in the balance.